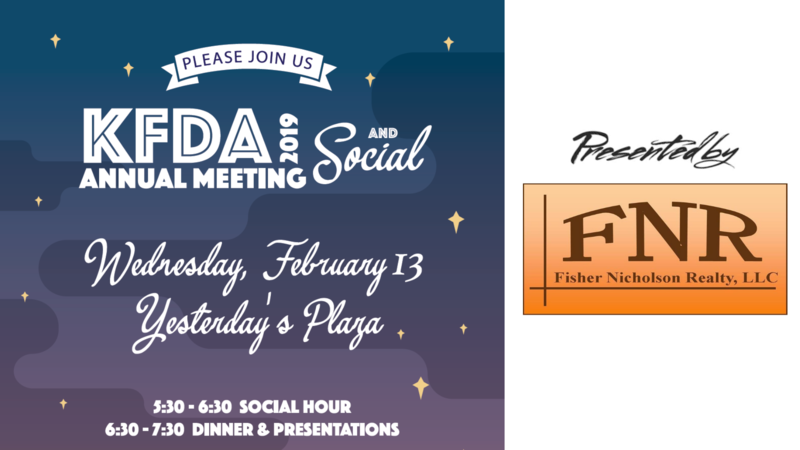 We would be honored if you would join us at our 2019 Annual Meeting & Social! The event will be held February 13 at Yesterday's Plaza. Each business is eligible for two complimentary tickets, and additional tickets may be purchased for $20 per person. Complete the form below to purchase your tickets! Are you a current KFDA Member? Each business is eligible to receive two complimentary tickets. If you would like additional tickets, they may be purchased below. How would you like to receive your ticket(s)? * If you choose to pay by check, please mail it to KFDA, Post Office Box 372, Klamath Falls, Oregon 97601. If you wish to have your tickets mailed to you, please make sure that we receive your payment by February 6! Klamath Falls Downtown Association is an IRS approved 501(c)3 tax-exempt organization. All donations are tax deductible to the extent provided by law.